Sometimes I still dream….the December issue of Harper’s Bazaar Malaysia is out on the news stand and I’m so excited and thankful to share this article with you. 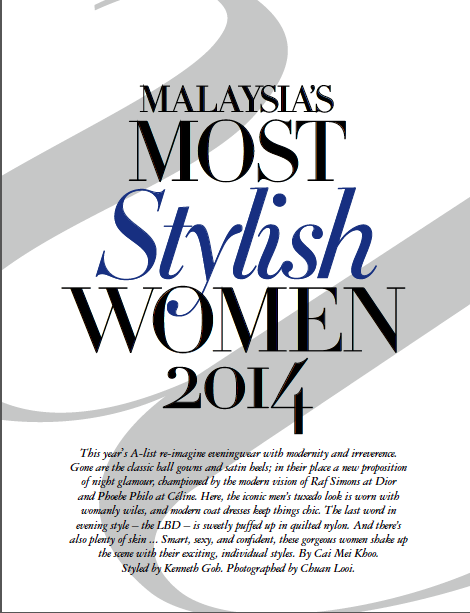 I’m featured in Malaysia’s Most Stylish Women 2014. I have to thank the team at Harper’s for my make up and styling. I have never looked this good! But of course! Curious- were you featured in the article? Loved the photos and featured article 😉 I am following you now 2! Fun stuff!